The new GTA Online is just under a week away and Rockstar wants to share a little more information on hwat to expect. The power of the latest console hardware has added new potential to the world and Rockstar is very excited for what the amazing player community will make of Grand Theft Auto V and Grand Theft Auto Online on PlayStation 4 and Xbox One next week. 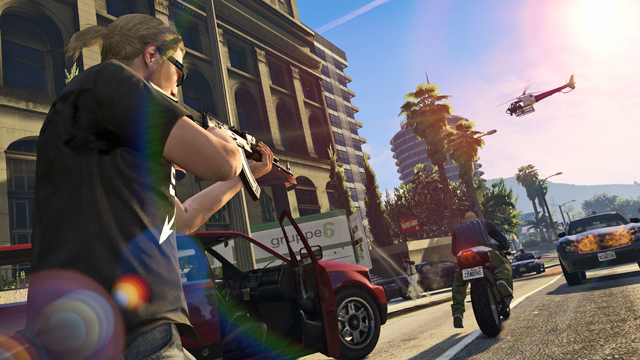 With the advent of First Person Mode, 30-player Online support and other new features made possible by the new systems, your feedback, help and guidance is more important than ever to help Rockstar make the game experience all it can be. Whether it's letting them know what you like and what you don't like about the new features, reporting any technical issues you may experience during the early days of GTA Online's next generation launch, or any other suggestions for improvements and tweaks whatsoever - they need your continued help, and, maybe, just a little patience if there are any teething problems around the launch on the new systems. They have, of course, tested the game extensively but there is no way their several hundred testers can be quite as comprehensive as millions of players! Please bear with them should any issues arise - they will be working hard to fix any problems that arise, and generally ensure this launch is as smooth as possible. The dedicated Rockstar Games Support website for help with any and all technical issues that may arise. You can browse the knowledge base of known GTAV and GTA Online issues and subscribe to articles there to get automatic updates of when they’re addressed. And if your issue does not appear as an existing knowledge base item, you can also always create a new ticket to get help. The [email protected] official player feedback inbox. 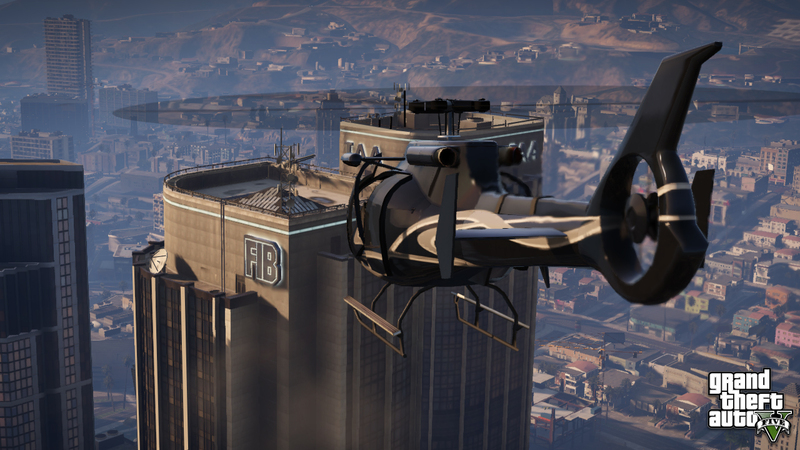 Over the past year, with each and every Update released for GTA Online were tons of positive changes made as a direct result of player feedback that the development team consulted constantly for input. From specific content added to the game to countless enhancements such as improvements to GTA Online’s RP and GTA$ payouts, insurance system, passive mode, Creator features, damage system – and so much more were all made to the game thanks to your very helpful suggestions. Also expect a Title Update to be made available for download on both PS4 and Xbox One by this Monday that will include some last tweaks and optimization fixes for game day. In order to experience the game properly, please make sure you install this Update before playing (like all Title Updates, it will be applied automatically as long as you are connected to the internet). Rockstar will be looking closely at your feedback from the initial launch days on the new platforms to help inform other future dynamic tuning changes and Title Updates as always. And get ready for continuing free content Updates for Grand Theft Auto Online, including the highly-anticipated launch of Online Heists (which, to be absolutely clear, will be available for all four consoles to enjoy). 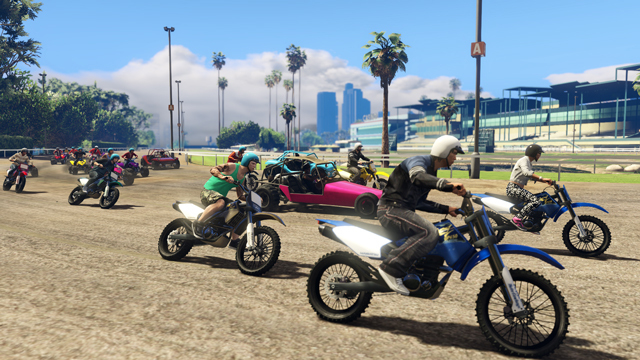 Whether it’s mass marauding in Freemode or lining up a proper Crew convoy for an epic GTA Race – there will now be the opportunity for nearly double the player action that was possible on the PS3 and 360. 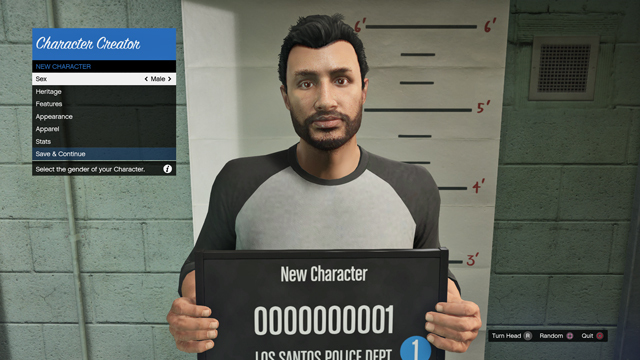 Give your GTA Online player a dramatic makeover thanks to the new customization options that the overhauled character creator offers. Create a brand new character from scratch or take your current guy or gal for a bit of cosmetic surgery in true Los Santos fashion. 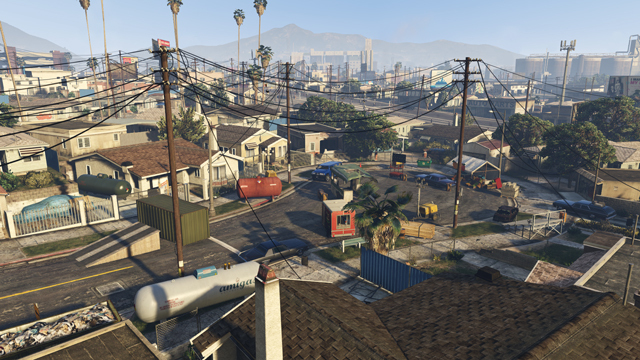 IGN revealed the first person experience for GTAV last week, a feature that will be available in both Story Mode and GTA Online allowing you to seamlessly switch between first and third person perspectives while playing. Fancy trying your favorite Team Deathmatch as a first person shooter – or weaving through the turbines at the RON wind farm with a view from the cockpit of your Lazer in glorious 1080p? That’s just scratching the surface of the possibilities that the first person experience will add to the gameplay of GTA Online. To date, the amazing minds who’ve put the Creator Tool to work are responsible for nearly 10 million original custom Deathmatches, Races, Captures and Last Team Standing Jobs. Amongst those are some truly epic experiences including some masterfully imaginative metagames that we never could have envisioned. 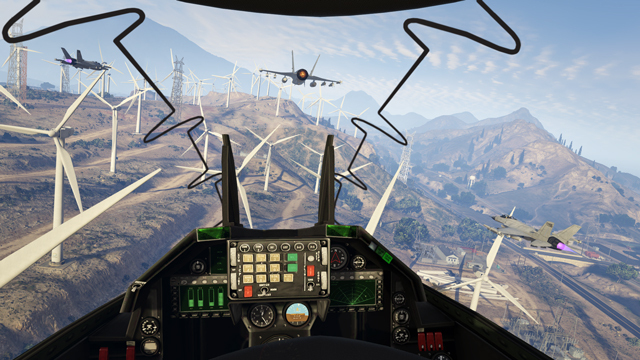 Now with the possibilities of prop placement doubled, you’ll be able to build enormous arena-style Deathmatches for concentrated chaos, or maze-based Land Races requiring extreme guile, or stack shipping containers around Air Race checkpoints to create large scale obstacle courses for GTA Online stunt pilots! With double the props and up to 30 players, Rockstar can’t wait to see the ways in which the incredible Creator community will assuredly concoct brilliant gameplay magic on the PS4, Xbox One and PC. That's all for now. Look for more last-minute info soon and hit up the forums! Additional New-Gen GTA Online Info - Rockstar gives up some more information of what to expect next week in the new GTA Online. They also request your feedback on issues or things you wnat to see different.